Where other coupes fall short, the 2018 Mercedes-Benz CLA Coupe family excels. Offering compelling performance, handling, fuel efficiency, and features, it’s no wonder why Johns Creek drivers can’t wait to take the CLA Coupe for a spin. 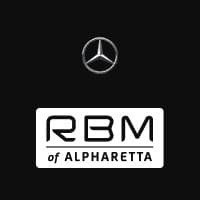 If you’re looking for a new CLA Coupe in your area, then head to RBM of Alpharetta, a dependable dealer serving northern Georgia. Our 2018 Mercedes-Benz CLA Coupe inventory is guaranteed to impress! With three models from which to choose, there’s no shortage of options with the 2018 Mercedes-Benz CLA Coupe. The Mercedes-Benz CLA 250 Coupe is powered by a 2.0L turbocharged 4-cylinder engine rates at 208 hp and 258 lb-ft of torque. This model sports the same engine and specs as the CLA 250 Coupe, but the CLA 250 4MATIC® Coupe boasts 4MATIC® all-wheel drive. 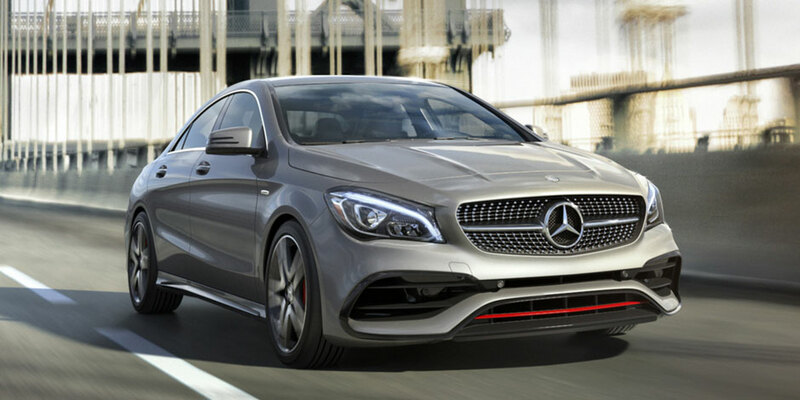 The AMG® CLA 45 Coupe comes out on top in terms of performance. Its handcrafted AMG® 2.0L turbocharged 4-cylinder engine generates a staggering 375 hp and 350 lb-ft of torque, which allows it to bolt to 60 mph in a mere 4.1 seconds. Each 2018 Mercedes-Benz CLA Coupe comes standard with a seven-speed dual-clutch transmission with shift paddles, making it possible for drivers to switch gears from the steering wheel. Drivers can also choose between rear-wheel drive and 4MATIC®® all-wheel drive, the latter of which instantly and variably sends power to any wheel on demand. For improved control, the CLA includes DYNAMIC SELECT® with personalized driving modes and an optional RACE mode for the AMG®® CLA 45 Coupe. Whatever the Georgia cities, highways, or back-roads have in store, the 2018 Mercedes-Benz CLA Coupes offer the clean-cut, dependable handling you need to stay ahead of the game. With its lean proportions, diamond-block grille (silver-chrome twin louver radiator grille for the CLA 45 Coupe), frameless door glass, and elongated arcs, this four-door coupe can’t help but stand out. The 2018 Mercedes-Benz CLA 250 Coupe offers various wheel designs, while the CLA 45 Coupe comes standard with 18-inch AMG® twin 10-spoke wheels. What’s more, you’ll likely have a tough time deciding on one of many eye-catching exterior colors, such as Jupiter Red, Mountain Grey, Polar Silver, or Cosmos Black. 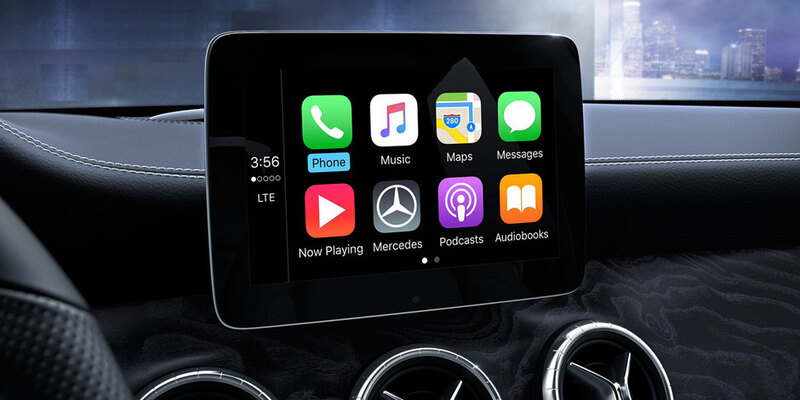 Inside the CLA Coupe’s cabin, you’ll find four sport seats, a winged dash, circular air vents, an 8-inch freestanding screen, and much more. Expertly engineered from HSLA and ultra-high-strength steel, the 2018 Mercedes-Benz CLA Coupe lineup promises reinforced roof pillars, floor/roof crossmembers, and door beams, as well as advanced front/rear crumple zones. In addition to solid body structuring, the CLA Coupe comes with and offers all of the safety features Alpharetta and Johns Creek drivers could want. From Active Brake Assist and ATTENTION ASSIST®, to SmartKey and rain-sensing wipers, to optional active LED headlamps, this coupe brings plenty to the table. Each CLA also offers “Intelligent Drive” features, including Blind Spot Assist, Lane Keeping Assist, Parking Pilot, and more. If you’re ready to take the 2018 Mercedes-Benz CLA Coupe out for a spin, then make the 20-minute drive from Johns Creek to RBM of Alpharetta. Feel free to drop by at your convenience, or give us a call to plan your visit!